New Worldview: Is there a Depopulation Agenda? Who will Pay the Ultimate Price? 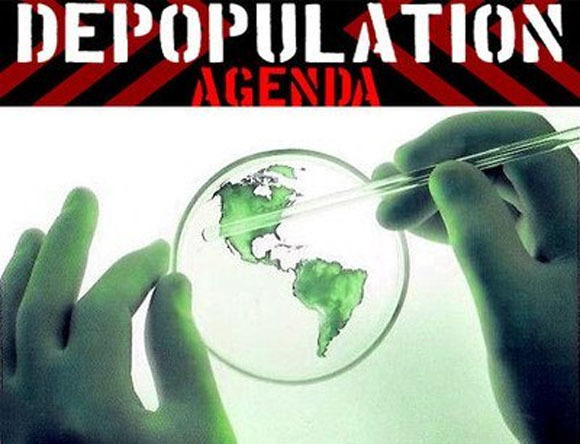 Is there a Depopulation Agenda? Who will Pay the Ultimate Price? In hearing rumors and seeing evidence of an agenda to depopulate the world, through vaccinations, GMO foods, engineered diseases, eugenics programs, etc. I am reminded of a short story I read many years ago by Isaac Asimov called "The Winnowing." It's the tale of a genetic scientist who is cornered and manipulated by the elite to develop and implement a technology in food that will "arbitrarily" eliminate 70% of the Earth's population. I don't want to give it away -- but there is a poetic justice that emerges in this story that I would like to share. If you prefer to listen, below is a youtube of a reading done by Vyzygoth (less than 20 minutes) a number of years ago. He begins reading the story at Six minutes and Twenty seconds (6:20).